Prof Chee graduated from National University of Singapore in 1984 and received her subsequent qualifications in 1990. She was one of the pioneer ophthalmologists of Singapore National Eye Centre which she joined in February 1991. She has directed her time and efforts to building up the Ocular Inflammation and Immunology Service in SNEC. She has trained several local and international fellows and continues to attract fellows from the Asia- Pacific region and even as far as the Middle-East. She is an Associate Professor under National University of Singapore and a Visiting Consultant at National University Health System.Prof Chee is the Head of Ocular Inflammation and Immunology Service. She manages patients with patients with a variety of complex ocular inflammatory diseases. She is also the Head of Cataract Service and is actively engaged in the evaluation of cutting edge technology intraocular lenses (IOL) and phacoemulsification equipment. She specializes in anterior segment reconstruction and managing complicated cases such as subluxated cataracts and IOL.Prof Chee's other passion is in cataract surgery. She is actively engaged in the evaluation of cutting edge technology intraocular lenses (IOL) and phacoemulsification equipment. 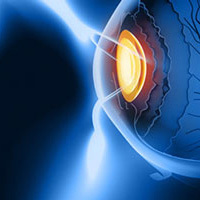 She specializes in anterior segment reconstruction and managing complicated cases, such as subluxated cataracts and IOLs.She did her fellowship training in both Oculoplastis and Uveitis in 1993 at Moorfields Eye Hospital, London.Prof Chee uveitis research interests are mainly in Vogt-Koyanagi Harada Disease, Cytomegalovirus infection in the immunocompetent, dengue maculopathy and endogenous endophthalmitis. Prof Chee received the Best Teacher award by Singapore National Eye Centre in 2000 and the American Academy of Ophthalmology Achievement Award in 2007.